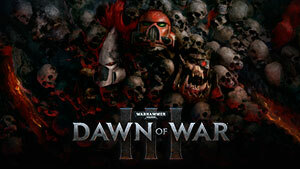 Dawn of War is famous for its epic action and those immense clashes are back - but now they're off-the-scale. Wage war with massive armies across violent volcanic terrain or onboard battlecruisers travelling fast through space. Cause devastation on the battlefield with powerful super-abilities . Rain down total destruction on your enemies with the Space Marine's Orbital Bombardment, the Eldar's blistering Eldritch Storm or the Ork’s Rokks to counter your unsuspecting rivals. Learn what makes each force formidable through alternating missions. You'll soon come to understand the combat advantages of Space Marines, Orks, and Eldar and the rules of a universe with no heroes or villains… only war. Build your own universal army from the very first moment you are matched in a melee. Progress through battle after battle with loyal troops by your side across both challenging campaign missions and dominating multiplayer maps. Your army will wreak havoc in online co-operative mode. Join the multiplayer community and forge new alliances - then turn the tables on your new 'friends' as they become foes in explosive, chaotic and competitive maps. 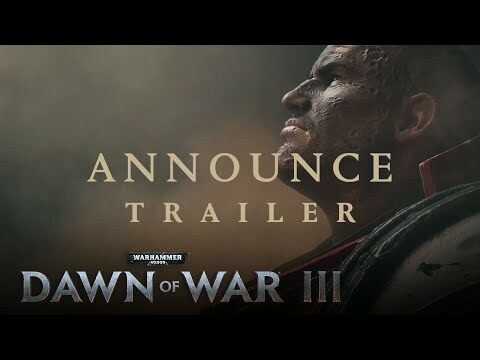 Warhammer 40,000: Dawn of War III © Copyright Games Workshop Limited 2016. 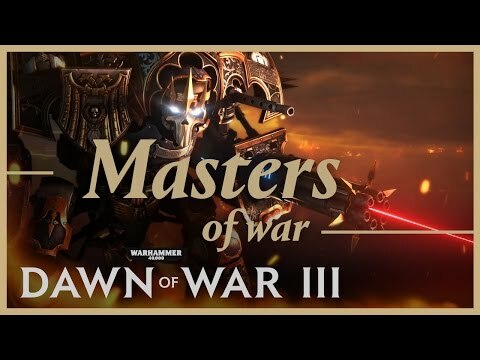 Dawn of War III, the Dawn of War logo, GW, Games Workshop, Space Marine, 40K, Warhammer, Warhammer 40,000, 40,000, the ‘Aquila’ Double-headed Eagle logo, and all associated logos, illustrations, images, names, creatures, races, vehicles, locations, weapons, characters, and the distinctive likeness thereof, are either ® or TM, and/or © Games Workshop Limited, variably registered around the world, and used under license. This release is developed by Relic Entertainment and published by SEGA. SEGA, the SEGA logo, Relic Entertainment and the Relic Entertainment logo are either registered trademarks or trademarks of SEGA Holdings Co., Ltd or its affiliates. All rights reserved. SEGA is registered in the U.S. Patent and Trademark Office. All other trademarks, logos and copyrights are the property of their respective owners. Sorry, you do not meet the criteria to view this content.